Lemon tarts – or lemon bars, for that matter – are not something exactly new on this blog, but since they’re among the most delicious desserts out there I never tire of baking them. When I saw the Australian Delicious lemon tart version with a crust made of Anzac cookies I had to bake it and I’m glad I did: the tart is wonderful and not difficult to make. I believe that store-bought ANZAC cookies are easy to find Down Under, but not in Brazil – so if you can’t find the cookies where you live either, do not worry: I’ll share the recipe I used to make mine. Lightly butter a 22x4cm round loose-bottomed tart pan*. Place cookies in a food processor and whiz until fine crumbs. Gradually add butter and pulse until the mixture resembles damp sand – add butter gradually because depending on how buttery the cookies are you might not even need all the butter. Press crumb mixture into the base and sides of prepared pan. Chill for 30 minutes or until firm. Preheat the oven to 170°C/338°F. Place honey, lemon zest and juice, condensed milk, cream and eggs in a bowl and whisk gently until combined. Pour into the tart case and bake for 35 minutes or until just set but the centre still has a gentle wobble. Cool in the pan to room temperature, then place in the fridge and chill for at least 2 hours or until cold and set. 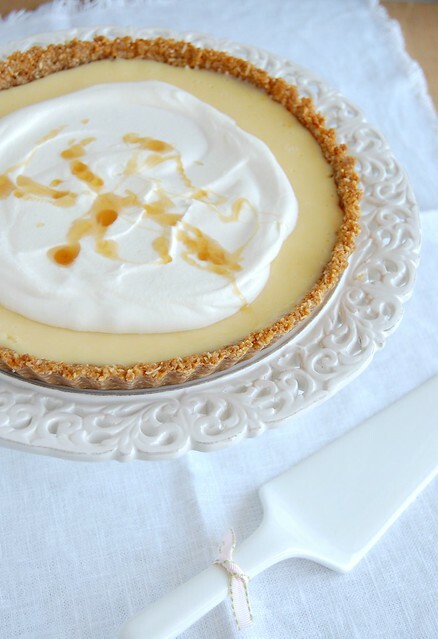 To serve, slice the tart and drizzle with thickened cream and extra honey. In a large bowl mix the oats, flour, sugar and coconut. Place the golden syrup and butter in a saucepan over low heat and stir until melted. Mix the baking soda with the water and add to the butter mixture. Add to the dry ingredients and mix well. Place tablespoons of the mixture onto prepared sheets 5cm (2in) apart. Flatten slightly. Bake for 8–10 minutes or until golden brown. Cool on sheets for 5 minutes, then transfer to wire racks to cool completely. Beautiful tart! 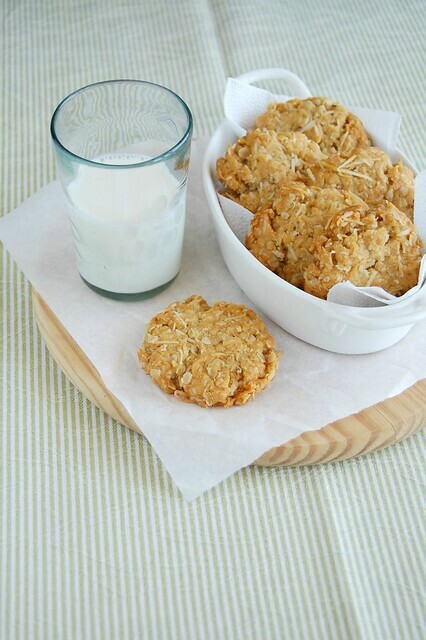 I've never tried Anzac cookies but they sound delicious! what a beautiful tart! Perfect for this beautiful spring weather!